A classic Leather tawse made in the original style as handcrafted in the good old days at Lochgelly Scotland. 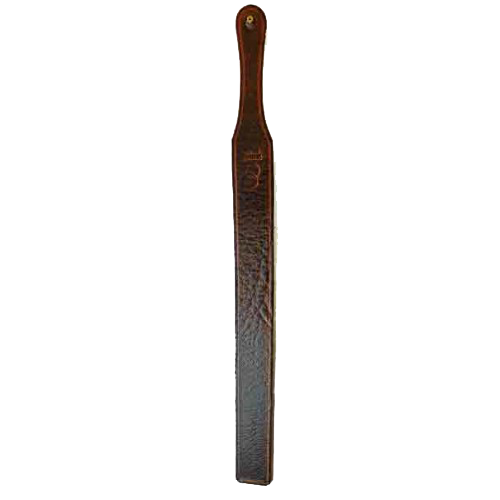 This version of the classic Scotish Schools punishment strap is made from heavy but supple thick brown leather that wraps around the shape of a curved surface, it hits hard (delivering a uniform stroke). The leather has a special finish and it can be oiled to give the tail extra weight for a much heavier strike or it can be soaked in water to achieve one of the severest lashes possible. Do not be fooled into thinking that this item is a toy!! 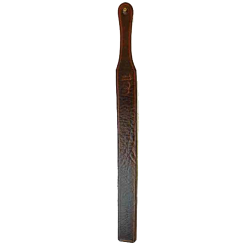 This tawse has a curved handle grip which is the same as the original pattern nd has a punched hole for hanging purposes. This is the single tail version of the lochgelly tawse with a razor strop style. The lochgelly tawse is a favourite of school disciplinerians and was a widely used strap for both sexes in Scotish schools. This is a rare chance to own a classic style lochgelly tawse, one of Scotlands most infamous school discipline punishment leather straps. 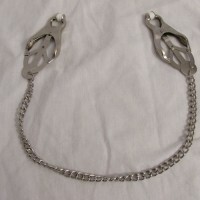 An Ideal serious spanking strap which is very effective for all levels of chastisement. This item is a bespoke leather lochgelly tawse made to order in our workshop, no two are identical! !